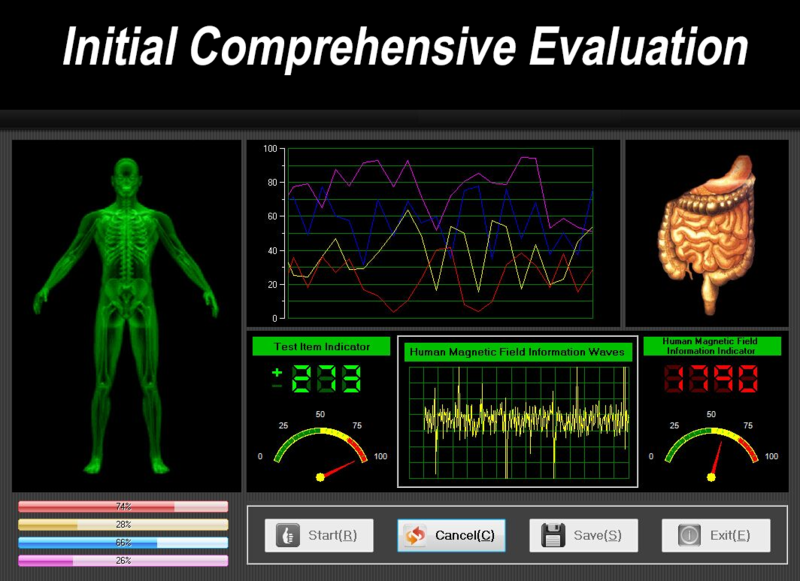 Would you like to scan your body’s overall health in just one minute? Are you interested in discovering the source of your suboptimal health and fought back with precision? You can do all that, without any pain, with the latest Quantum Resonance Technology.Introducing The Quantum Magnetic Resonance Body Analyzer. This body health scanner will target and lock on digestive issues, liver and kidney problems, vitamin D Levels, cardiovascular issues, vitamin, mineral and amino acid deficiencies, EMF (Electro Magnetic Frequency) sensitivity and so much more. The human body is an aggregate of numerous cells, which continuously grow develop, split, regenerate and die. 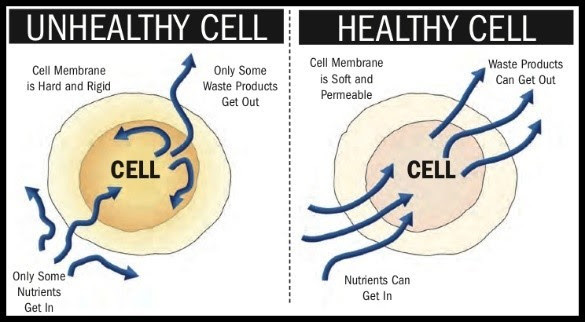 By splitting up, cells renew themselves. For adult people, about 25 million cells are splitting up every second and blood cells are constantly renewing at a rate of about 100 million per minute. In the process of cellular split-up and renewal, the charged bodies of nucleus and extra nuclear electrons as the basic unit of a cell are moving and changing ceaselessly at a high speed as well, emitting electromagnetic waves without interruption. The signals of electromagnetic waves emitted by human bodies represent the specific condition of human body and therefore, different signals of electromagnetic waves will be emitted by the conditions of good health, sub-health, diseases, etc. The conditions of life can be analyzed if such specific electromagnetic wave signals can be analyzed. The quantum resonant magnetic analyzer is a new instrument to analyze such phenomenon. The weak magnetic frequency and energy of human body are collected by holding the sensor, and after amplification by the instrument and treatment by the built-in microprocessor, the data are compared with the standard quantum resonant spectrum of diseases, nutrition and other indicators incorporated in the instrument to judge whether the sample waveforms are irregular using the Fourier approach. Analysis and judgment can thus be made on health condition and main problems of the testee based on the result of waveform analysis, as well as standard protective and curative proposals. Quantum physics describes laws of energy at the quantum level (a "quanta" or discrete particle can be a molecule, atom, nucleus, or microparticle). Discoveries in quantum physics (micro world) are helping us to understand the phenomena of our macro world. Speed and accuracy: Multiple indicators of your health can be obtained within minutes. This analysis method is designed to save your time and energy. The database of the analysis system has been established with scientific method, strict health statistic treatment, and demonstration of a large number of clinical cases, leading thus to a high analysis accuracy. The analysis will tell you the condition of your health without hemanalysis (Analysis of the blood, especially by chemical methods) or radiography (Examination of any part of the body through the use of X- rays). Due to the strength of the magnetic field produced by our machine treatment time is usually 30 minutes. 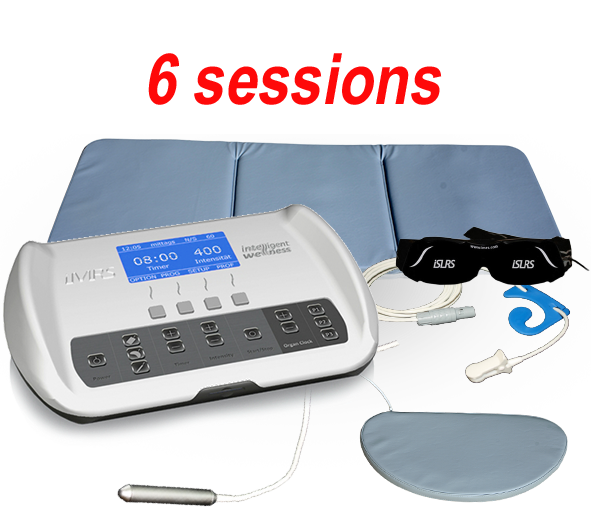 Most patients will need between 5-10 hours of total PEMF therapy for a lasting healing effect. Many patients will feel remarkably better after their first or second session. This does not mean they have healed, it indicates that the swelling and inflammation has decreased. 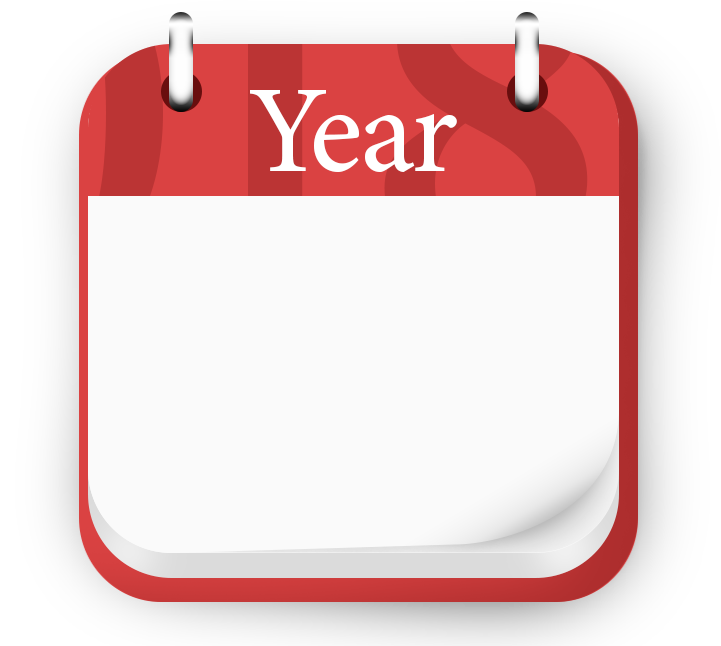 It is recommended that for most patients to plan on having 3 sessions per week. If a bone is broken then you would need to have 5 sessions per week.Thousands of PEMF treatments have been safely given in Europe over the past 40 years. 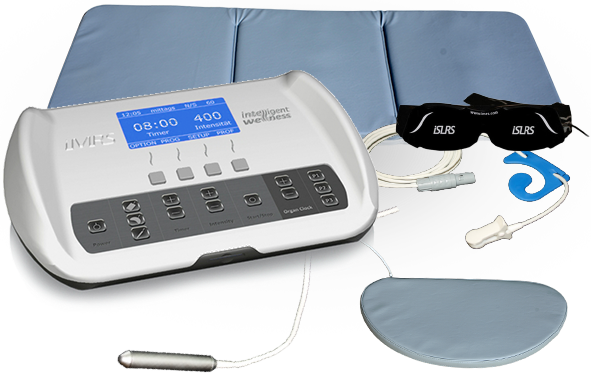 Bone stimulators have been used in the US for over 20 years and the FDA approved PEMF technology in this country in 2004 for pain relief, supporting injury and wound healing, etc. 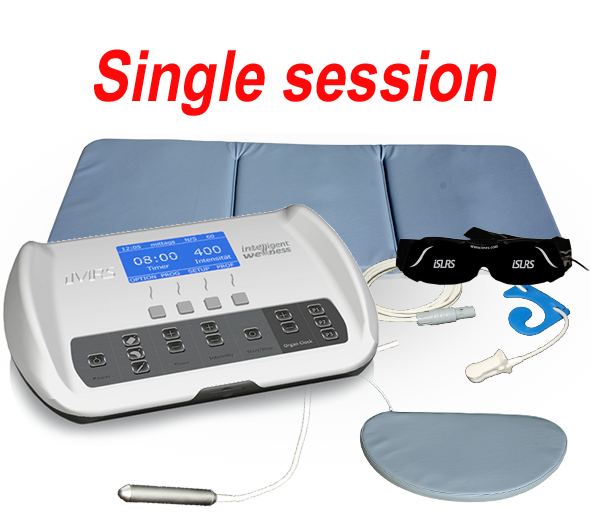 Contraindications are pregnant women and persons with implanted cardiac pacemakers.There are various devices that use pulsed electromagnetic field frequencies stimulation therapy, the one we use called iMRS 2000, which stands for Intelligent Magnetic Resonance Stimulation, is one of the best devices in the world for pulsed magnetic therapy. 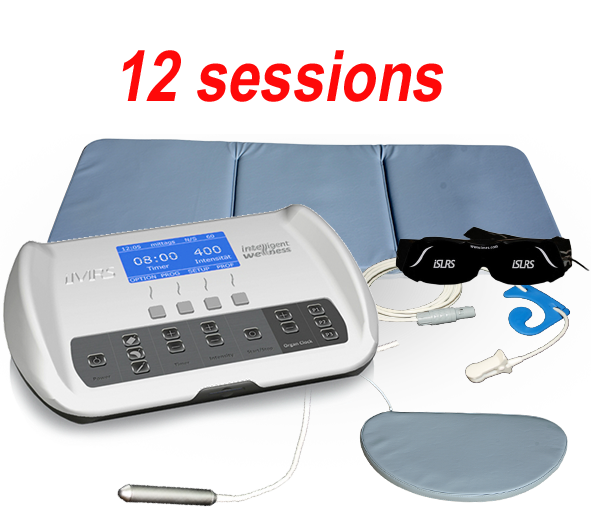 operates by using solely earth-based Schumann Frequencies and Intensities.Moreover, it has a built-in intelligent biorhythm clock.The iMRS has been an integral part of the PEMF community for more than 16 years.It has become an established and popular product in the eyes of many reliable people.Finally, it also uses the proven square wave, which has been shown to stimulate regeneration and healing significantly.